Chris Xu, Ph.D., is the current president and chairman of Boyalife Group, which he founded in 2009. Prior to founding Boyalife, Dr. Xu served as a project leader at Pfizer, as a director of research at two publicly-traded biopharmaceutical companies and as a vice president at Founder Group, a Chinese technology conglomerate focused on information technology, pharmaceuticals, real estate, finance, and commodities trading. Dr. Xu’s expertise spans several diverse therapeutic areas, including arthritis & inflammation, cardiovascular disease, autoimmunity, oncology and diabetes. He has authored over forty publications and has been recognized by numerous professional societies for his contributions to biomedical research. Dr. Xu received his Ph.D. in immunology from Washington University School of Medicine (St. Louis, USA) and an executive MBA from Emory University (Atlanta, USA). Lisa Li is co-founder, president and chief executive officer of BoyaLife Group. Prior to joining the company, Ms. Li held managerial positions of increasing responsibility at PepsiCo, General Mills, and SSA Global Technologies. Ms. Li received a Bachelor’s degree from Chinese Agriculture University (Beijing), a Master’s in Applied Statistics from North Dakota State University (Fargo) and an MBA from the Peking University School of Business (Beijing). Ms. Li also serves on BoyaLife’s board of directors. Dr. Guo currently serves as Senior Vice President and Chief Financial Officer of the Boyalife Group, and Head of the Boyalife Genomics Group. He brings to the Boyalife team extensive experience in corporate finance and management. Prior to joining Boyalife, Dr. Guo served as General Manager and Board Director for various companies with Wanhua Chemicals Group, one of the largest chemical corporations in China (SH:600309). Dr. Guo received a Ph.D. from Nanjing Institute of Technology and an executive MBA from Peking University (Beijing). Dr. Guo also serves as Board Director for Meihua Group Co. Ltd. (SH:600873). Mr. Wang joined the Boyalife Group in 2011 and served as its Head of Corporate Administration and Public Relationships before advancing to his current role of Vice President and Chief Commercial Officer. Prior to joining Boyalife, Mr. Wang served as General Manager of Shanghai Huayuan Education Ltd., and Secretary General for Wuxi Chamber of Commerce for Chinese Overseas Entrepreneurs. Mr. Wang obtained his MBA from Hong Kong University. Prior to joining Boyalife as Chief Scientific Officer, Head of Boyalife Institute of Translational Medicine, Dr. Xiao served as the laboratory director of the Receptor Signaling Section at National Institute of Health from 1996 through 2006. Since 2006, she has served as the founding director of the Institute of Molecular Medicine at Peking University. Dr. Xiao served on a wide range of academic committees and editorial boards, including New England Journal of Medicine. Dr. Xiao obtained her MD from Tongji Medical University (China) and her Ph.D. from the University of Maryland School of Medicine. Ms. HaiRong Xiao, MSc joined Boyalife in 2009 and has served in various roles of increasing responsibility in research and development. Over the years, Ms. Xiao has served as associate director, director, and senior director for Boyalife Stem Cell Bank Ltd., and currently serves as assistant vice president, overseeing cellular manufacturing and related operations. Ms. Xiao obtained her bachelor’s degree and master’s degree in pharmacology from China Pharmaceutical University. 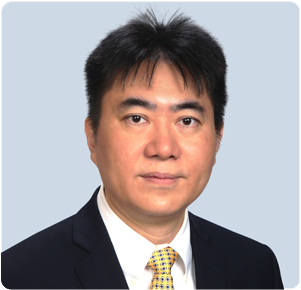 Based in the United States, Mr. Xu is a practicing attorney and licensed CPA with over 18 years of experience in corporate operations, strategy and litigation, including patent prosecution and litigation, intellectual property licensing, corporate strategic taxation planning, corporate restructurings and mergers and acquisitions. Mr. Xu has served as general counsel of the Boyalife Group since 2010, and has also served on the boards of various Boyalife subsidiaries. Mr. Xu earned an M.S. in electrical engineering and an MBA from the University of Mississippi. He also holds a J.D. and a Master of Laws (LLM) in taxation from DePaul Law School, as well as an LLM in both intellectual property and information technologies from John Marshall Law School.